When your AC kicks on and you notice one of your rooms isn’t cooling properly, often times this can be an air flow issue. Whatever issue is affecting your air flow, our technicians know exactly how to find the problem and seal, fix, or clean it to get that room cooling properly! Air ducts can be very complicated with many opportunities for things to go wrong. Sometimes ducts become kinked or crushed. A lot of ducts are flexible and can get pinched, kinked, or crushed in the attic. 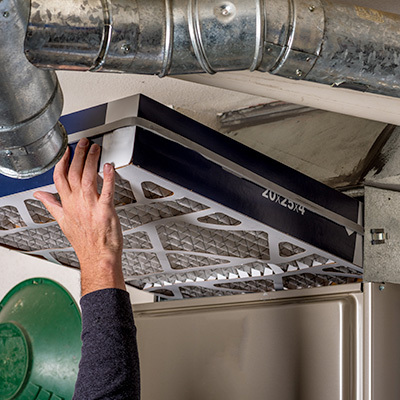 Sometimes ducts come loose, which means they’re no longer sending cold air to the vent. In fact, they may even be cooling your attic instead! When dampers become closed, it affects the valves in your ducts that control airflow in your air duct system. When open, air flows freely; when they close, there’s little or no airflow. You may have a closed damper that’s blocking air from reaching your one room.